First let's define caster and camber. According to Wikipedia, "the caster angle or castor angle is the angular displacement from the vertical axis of the suspension of a steered wheel in a car, motorcycle, bicycle or other vehicle, measured in the longitudinal direction. Camber angle is the angle made by the wheels of a vehicle; specifically, it is the angle between the vertical axis of the wheels used for steering and the vertical axis of the vehicle when viewed from the front or rear. If the top of the wheel is farther out than the bottom (that is, away from the axle), it is called positive camber; if the bottom of the wheel is farther out than the top, it is called negative camber." Let's start with camber, also known as toe-in and toe-out. Toe in, or negative camber is when the wheels are mounted so that the front of the tire is angled slightly inward toward the center of the kart. castor is the angle, from vertical, of how the wheel is supported. See the photos below from intraxracing. 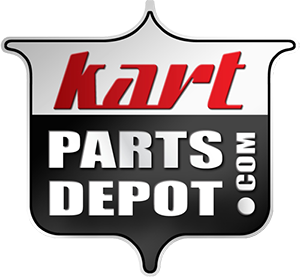 He walks you through what to look for and the adjustments that you need to make to your kart to maximize your cornering capabilities.